Algorithmization and procedural management of the therapeutic process has become very popular as quality management systems have developed and health care quality has been assessed. It is obvious that a procedurally-thinking physician can react more efficiently, promptly and economically to critical situations which are so abundant in acute medicine. 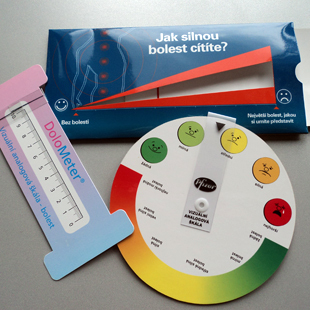 The interactive educational algorithms on the portal AKUTNE.CZ have been developed with the aim of simulating decision processes in acute patients. 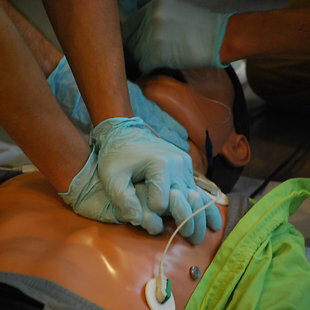 The ultimate aim of the algorithms is to make students remember the correct procedures which are necessary for the management of acute situations. 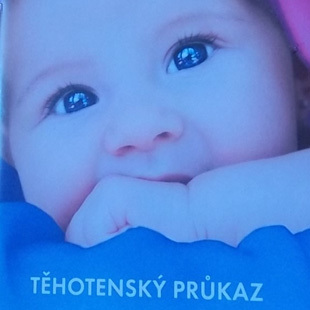 This comprehensive work contains 95 interactive algorithms both in Czech and English language which deal with various issues of acute medicine, from prehospital care to highly specialized care in the form of hospital care of critically ill patients. In certain situations the use of balanced anaesthesia is not indicated (e.g. malignant hyperthermia). If we cannot use balanced anaesthesia nor regional anaesthesia (due to the characteristics of the surgery) – a TIVA (Total Intravenous Anaesthesia) should come to our minds. And TCI (Target Controlled Infusion) is a way how TIVA can be performed. 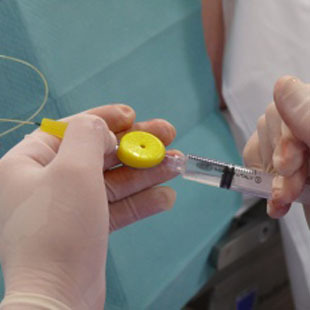 The advantages of TCI in comparison to manually performed TIVA are for example – easier titration of the anaesthetic agent, it leads to fewer interventions by anaesthesiologist and helps us anticipate the wake up time. The purpose of this algorithm is to introduce the TCI syringe pump, to demonstrate how it works, what the indications are, what parameters are needed and how the complications can be solved with the use of TCI. Mushroom picking is one of the favorite ways of spending free time in the Czech Republic. 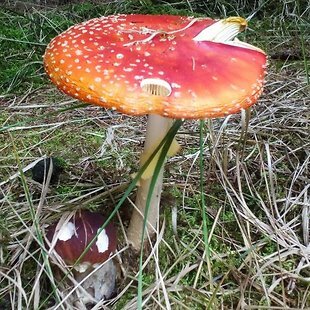 Unfortunately, since not everyone in this country happens to be a mycologist there are many cases of fungal poisoning every year. Poisoning can occur in a variety of ways, ranging from banal nausea requiring medical treatment through excessive vomiting and diarrhea to severe organ failure. 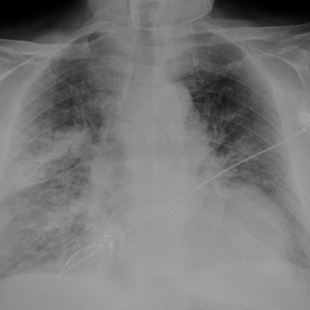 This condition, without timely and intensive care might lead to patient's death. In this algorithm you will diagnose and then adequately treat poisoning with different types of fungi. We have three scenarios prepared, how many you go through depends on you. Pulmonary embolism is one of the most frequent life threatening diseases and according to statistics it is the third most common cause of cardiovascular mortality (after myocardial infarction and stroke). The goal of this algorithm is to show that pulmonary embolism is not a rare disease and that one should keep it in mind during a diagnostic process. This algorithm also points out the fact that pulmonary embolism occurs moreover in younger population because of very widespread risk factors which are for example smoking, a use of oral contraceptive pills or long flights by airplane. 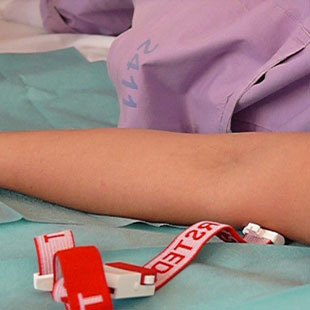 Life-threatening bleeding can be defined in many aspects: by extent of blood loss, by the presence of clinical and laboratory signs of tissue hypoperfusion or signs of organ functions failure. Sometimes bleeding is not associated with major blood loss, but it threatens the life by localization of bleeding to the regions important for maintaining vital functions (eg. brain). In our algorithm we pursue bleeding from esophageal varices, which are frequent complication of hepatic cirrhosis. The goal of this algorithm is to show you the right steps and resolution of the therapy of life-threatening bleeding. There is an increasing prevalence of diabetic patients undergoing surgery with the high number of complications associated with comorbidities. And even shorter surgical procedures without prior adequate diabetes compensation can pose a significant risk to them. This algorithm aims to emphasize the importance of preoperative preparation of the patient with DM, choice of anaesthesia and perioperative monitoring. 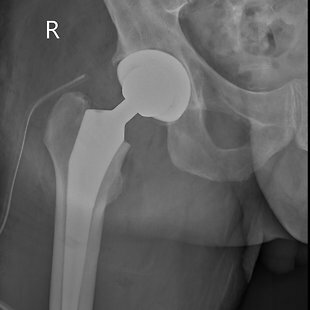 Total hip arthroplasty is one of the most frequent operations in hospitals of all types, which is performed predominantly in elderly people and has its own specifics. 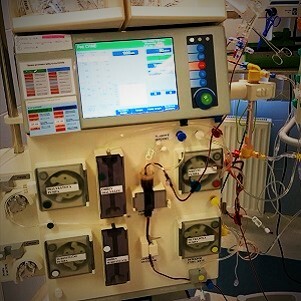 The algorithm focuses on the choice and method of anaesthesia. 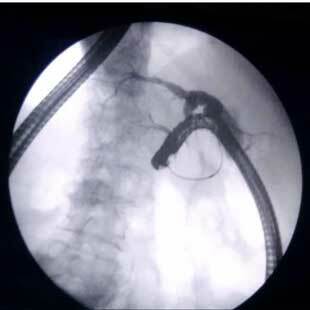 It points to a potentially fatal complication of the operation using cement implantation, the cement syndrome (BCIS) and offers a solution to this complication. Next it deals with the problem of perioperative blood loss, which needs to be quantified and subsequently rationally covered. The last part suggests the methods of post-operative pain treatment. 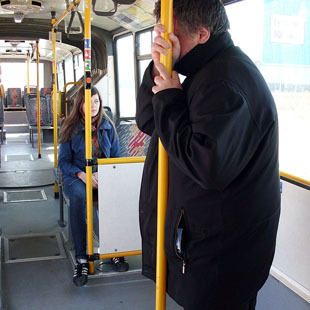 Traffic accidents often lead to wide spectre of different injuries that can greatly endanger the life of a crew. Even at first glance minor injuries can cause extensive internal bleeding with large blood loss. In such cases, inevitable immediate intervention is necessary, mostly with a blood transfusion products/blood derivatives. But what if a patient belongs to a group of so-called blood transfusion rejectors? 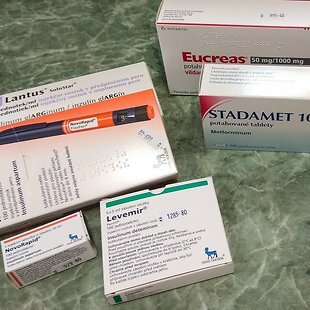 Do you know when you can replace your patient's blood loss with these products and when will you try to find another way of replacing? Our algorithm offers you the opportunity to solve the model of a traffic accident involving Jehovah's Witnesses who are known to belong to a group of people rejecting blood transfusions. 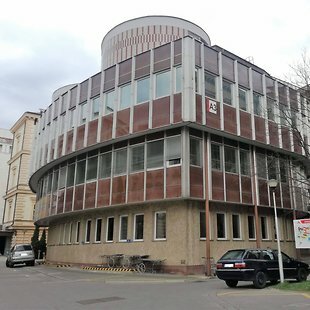 There are nearly 16,000 Jehovas Whittnesses in the Czech Republic, so the chance occuring this kind of situation is not negligible. The laws mentioned in the algorithm are valid for the Czech Republic, therefore situation in the English-speaking countries may differ. 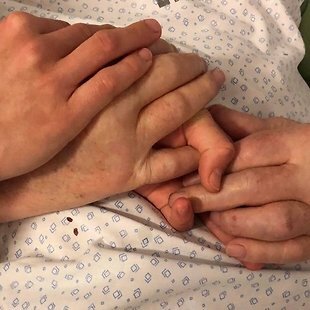 Palliative care in nursing reflects the view of a dying patient as a entire whole person. The provision of palliative care depends primarily on the non-medical health care staff, which provides, for the majority of the time, the dying patients comprehensive care during hospitalisation in an acute bed. Primarily the nurse is a direct participant in all of the events and comes in to contact with dying and death more often than any other medical staff. Therefore, it is essential that non-medical healthcare professionals have considerable interpersonal skills but, above all, clinical knowledge in relation to observation, response and initiation of symptom therapy. The aim of nursing in palliative care is to provide integrated comprehensive care that prevents and alleviates all aspects that are associated with any form of suffering of the dying patient. 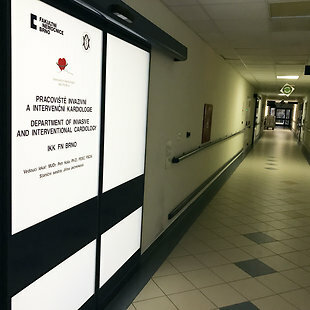 The aim is therefore to provide care that guarantees the highest quality of life until the last days of a dying patient in the department of acute and intensive care. The syndrome of inapropriate secrection of the ADH – antidiuretic hormone develops after injuries, operations or brain infections. Secretions of the ADH in organism results in water retention and also decreasing of plasma sodium level. However there are also other causes of hyponatremia, which differ significantly in their clinical solution. That is why it’s so important for the doctor to find the cause of hyponatremia as soon as possible and suggest correct therapy. This algorithm guides you in differential diagnosis of hyponatremia and folowing possibilities of the therapy. Acute coronary syndrome (ACM) is one of the most frequent causes of death in our population. Common risk factors such as bad eating habits, obesity, hypertension, diabetes mellitus and smoking are responsible for its development. This algorithm aims at right diagnostics of ACM as well as STEMI and non-STEMI differentiation which is necessary for the right choice of treatment. Myotonia congenita Becker is an autosomal recessive disease, non-dystrophic myotonia. The worldwide prevalence of myotonia congenita is about 1:100,000. It is linked to mutations in CLCN1, the gene encoding the skeletal muscle chloride channel. The mutation in Becker’s disease leads to reduced flow of chloride ions during repolarisation leading to sustained muscle contraction. The reduced chloride conductance of the mutated chloride channels in Becker’s myotonia causes hyper-excitability of the muscle fibre membrane leading to bursts of aberrant action potentials. The algorithm will lead you through the anesthesia in patient suffering from this disease from preoperating examination to his awakening. Brain death is an irreversible extinction of all brain functions including brainstem functions despite of the working cardiovascular system or other organs. The organ donor can be living human or the organ can be taken from the body of dead one. The condition is free and voluntary donor decision. The dead donor is in most cases a person, whose brain damage leads to its death, which has to be medicaly very precisely examinated and confirmed by objective screening procedure. Neuromuscular blocking agents (NMBA) are drugs with potentially life threatening effects for the patient. 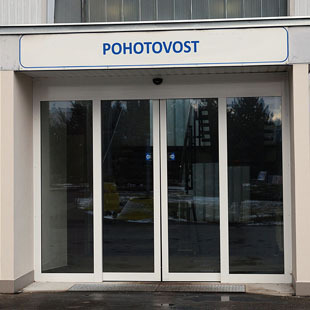 Therefore the monitoring of neuromuscular transmission during the operation is done according to the Czech Society of Anaesthesia, Resuscitation and Intensive Care and it is considered to be a standard procedure in patients care. The objective evaluation of the depth of relaxation gives the anaesthesiologist a valuable information that aids in his decision making about the immediate care. The main goal of this algorithm is to introduce the audience to the basic informations and options about neuromuscular monitoring and furthemore, to point to its importance in bringing the best possible care to the patient. The airways are most often affected by infectious inflammatory diseases and these are usually not serious. A more severe course may be expected mostly in children, the elderly and patients with a compromised immune system. In this algorithm we encounter a severe course of infectious disease of the airways in a child and learn the therapy options. 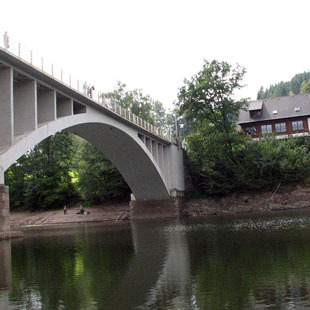 In the Czech Republic, swimming is very popular and frequent sport. Warm weather and summer days sprout the swimmers from the pools to the open waters. Swimming in open waters carries not only the joy, but also risks, and a lot of experienced swimmers can end up drowning for the first time. 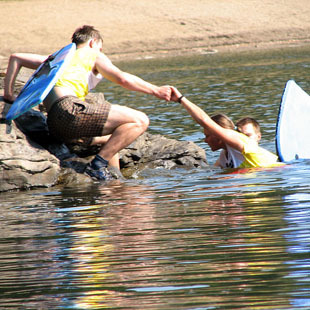 This algorithm will guide you through the water rescue technique from the beginning until the end. The term 'mass-casualty incident' indicates any situation in which the number and severity of casualties exceed accessible medical resources. To ensure the best efficiency it is essential to quickly distinguish life-threatening injuries and determine the priority of treatment and transport of the wounded as well as to differentiate patients who cannot be saved. To facilitate the process, we can use one of several triage models (e.g. Triage and identification tags which evaluate victim's respiration, circulation and state of consciousness). In this algorithm, one can try to treat basic types of injuries caused in a multiple-vehicle collision. Clinical syndrome of thyrotoxicosis is the manifestation of tissue exposure to high levels of circulating thyroid hormones, which is accompanied by characteristic changes in their function. The most common form of thyrotoxicosis, which is caused by excessive thyroid gland, is hyperthyroidism. Shift from thyreotoxicosis of any type to a life-threatening state of a thyrotoxic crisis can caused by stress (emotional stress, intercurrent illness, surgery), destruction of functional tissue (radioiodine treatment), stable iodine (contrast medium administration) or abrupt withdrawal of thyrostatic agents. The failure of all compensatory mechanisms exacerbates the symptoms of toxicosis: agitation to delusional states, profuse sweating in hyperthermia, vomiting, diarrhea, hyperventilation, rhythm disorders and systolic dysfunction will accelerate the development of circulatory and metabolic failure. 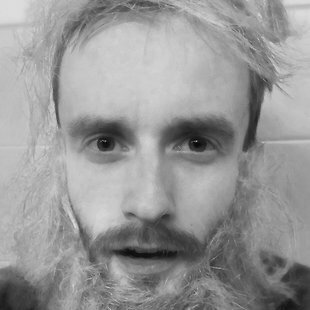 If treatment is not promptly initiated, mortality is high. This algorithm will guide you through the issue of thyreotoxicosis with a focus on its diagnosis and treatment. 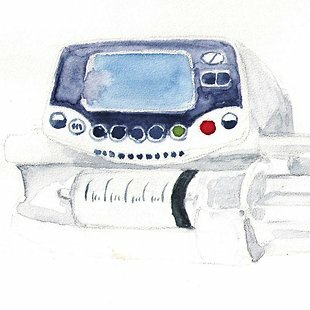 Usually, the work of a young anaesthetist in perioperative care is vital. Therefore, much attention should be paid to it. Preoperative evaluation is commonly made before all surgical procedures. 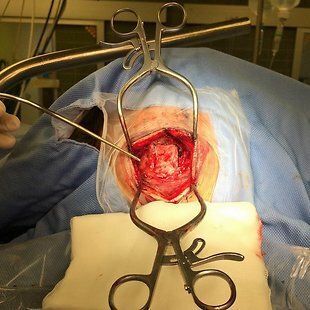 Nevertheless, its extent differs whether it is elective or emergency surgery and at the same time age and other comorbidities must be considered as well. Because it would be impossible to cover all the variations on one patient the algorithm includes more patients with various perioperative status. These patients should be prepared for different types of surgery (acute vs. elective). While solving the algorithm you can meet the same patient more than once, therefore, it is necessary to stay concentrated. The return of spontaneous circulation is just the first step towards recovery after cardiac arrest. Based on prolonged hypoperfusion or even organ ischaemia and following reperfusion, a patophysiological phenomenons develop. We call this post resuscitation syndrome. This algorithm will guide you through the current recommendations in post-resuscitation care, from securing the patient’s airways in the ambulance through treatment in ICU to post cardiac arrest rehabilitation. Burns are still one of the most serious injuries. Despite the progress in surgery, intensive care, pharmacotherapy and nutritional therapy we still have to keep in mind that burns are associated with high mortality and lifelong impairment of the patient. This alghorithm explains the principles of basic life support, urgent medical care and anaesthetic care for burnt pacients. Ocular trauma is the one cause of the acute visual loss. Even a slight defect of the globe integrity can have negative consequences. We can distinguish two types of mechanical ocular trauma: closed (contusion, lamellar laceration) and open (penetration, perforation). In the case of the penetrating ocular trauma is the corneoscleral wall damaged in its whole thickness. The anaesthesia in eye surgery has its very own specifics, that anaesthetist need to care about. This interactive algorithm describes principles of the care for the eye trauma, beggining from the first aid up to the eye surgery. Abnormal heart rhythms (arrhythmias, also dysrhythmias) are one of the most common heart diseases. According to heart rate they can be divided into two groups - bradycardias and tachycardias. The main cause of arrhythmias is a disorder in impulse formation and conduction in myocardial muscle. Generally, the presence of so-called arrhythmogenic substrate is the underlying cause of cardiac arrhythmias. This substrate can be a scar after myocardial infarction, source of ectopic automatism or degenerative changes of the myocardium. 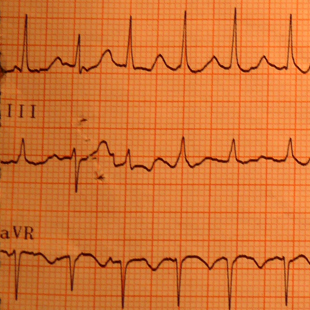 Algorithm Cardiac Pacing provides insight into management of acute arrhythmias. It is also focused on perioperative treatment of sinus bradycardia that leads to cardiac asystole. Ileus is one of many forms of acute abdomen. It is characterized as a disruption of the normal propulsive ability of the gastrointestinal tract with distension of bowel and then perforation followed by peritonitis and sepsis. This algorithm allows you to diagnose and treat this condition. You will also learn about complications that can occur. HELLP syndrome (Haemolysis, Elevated Liver Enzymes, Low Platelet Count) is a rather rare, nonetheless a very serious complication of pregnancy. It often occurs in the setting of preeclampsia but can occur independently, too. One third of cases manifests in the immediate postpartum period. This condition cannot be predicted, the final diagnosis can only be determined based on the laboratory test results, medical signs and patient-reported symptoms. This interactive case takes you on a tour from the recognition of the first signs of HELLP syndrome, its diagnosis and therapy to its possible complications and their consequences. Who is considered as an “eldery patient” nowadays? Statisticaly it is age of 65 years. There were 1 760 000 citizens of this age group in the Czech republic at the 31th December 2012, which is nearly 17 % of our population. The pensionable age is 66.5 years. It is claimed that 22 % of all surgeries are among the eldery patients regarding the same date and this number is rising. Higher risk of perioperative morbidity is connected with higher age and so there are important specifics of anesthesia in eldery patients. What kind of specifics? 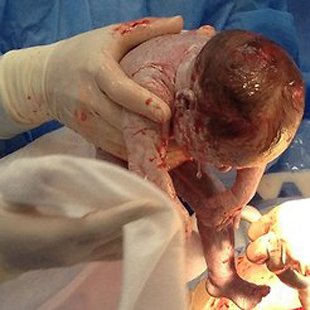 The newborn is not a small adult, there are many anatomical and physiological differences. If itꞌs possible, we postpone the operation until later age. However, exceptions exist, such as a congenital malformation, an acute case etc. and we are forced to perform operation as soon as possible. In these situations, the specialized departments take action. In our algorithm youꞌll encounter pylorostenosis which is the congenital malformation (2-5/1000 newborns) causing disorder of the passage. 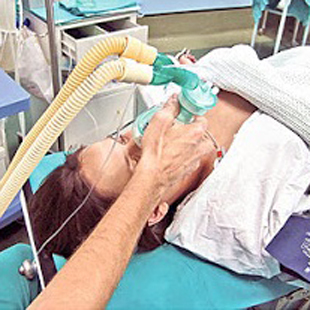 The procedures and techniques commonly encountered in anaesthesia are different when carried out on obese patients. The obesity makes some of them more difficult, or even impossible to perform. Airway management and drug dosage are also specific. The aim of this algorithm is to show you the entire process of anaesthesia in order to realize the important moments when considering patient’s body size is necessary. Crush syndrome also called compression syndrome, is a condition caused by massive compression of soft tissues, especially muscles, resulting in rhabdomyolysis (destruction of muscles), edemas and a risk of hyperkalemia. 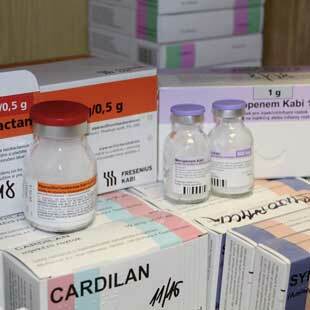 Myoglobin is released from the injured muscles and causes a severe kidney damage and acute renal failure. This algorithm describes treatment of a patient suffering from crush syndrome, step by step, beginning from the lay first aid up to the final care in hospital. The antibiotic therapy is an important part of care in all medical specialities. That's why it is necessary to know the general principles. The treatment should be efficient enough, but targeted at the same time. It's essential to think about risks of developing bacterial resistence. This algorithm will lead you through case of a concrete patient, from indication of the therapy to the solution of complications. When injuries occur, life-threatening bleeding may develop with no obvious external signs, which could warn you. Our algorithm is based on the actual case history about the patient who suffered from a serious car accident. 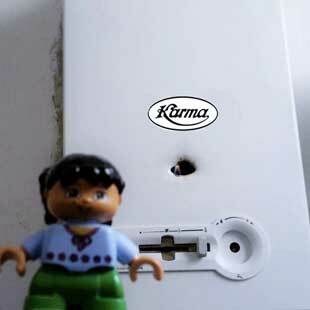 Carbon monoxide poisoning is one of the most common accidental poisoning. CO has very strong binding to hemoproteins and blocks their function. It causes severe tissue hypoxia. Poisoning can result in severe neurological disability, worstly can lead to patient’s death. CO binding is reversible, well-timed and adequate therapy is necessary. Acute pancreatitis is a high-risk condition to which we must approach from the first suspicion as to the condition potentially life-threatening. Symptoms often vary and can cause severe and long-term complications, or even death. In the algorithm you can practice basic principles of diagnosis and therapy of acute pancreatitis, in an effort to minimize the risk of potential death and cure the patient. At the same time you will be explained why some diagnostic and therapeutic processes are more suitable than others, and in which order it is advisable to apply them. Embolism is a life threatening condition caused by particles lodging in the bloodstream and causing obstruction. According to the origin and type of particles, fat embolism, air embolism, thrombembolism, cellular embolism (metastasis, amniotic fluid) and subcellular embolism (fragmented cells) may occur. There are different causes and risk factors for each kind of embolism. 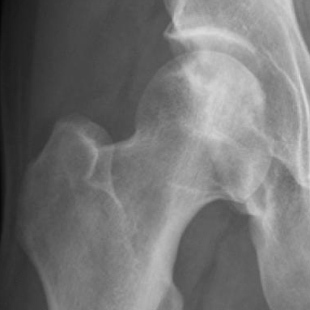 Some forms may occur as a severe complication during surgery. The algorithm describes embolism during neurosurgical operation with focus on the most common symptoms, early diagnosis and proper management. Acute lower limb ischemia is a serious disease with high morbidity and mortality if left untreated. There are about 150 cases of this disease on 1 million inhabitants per year. 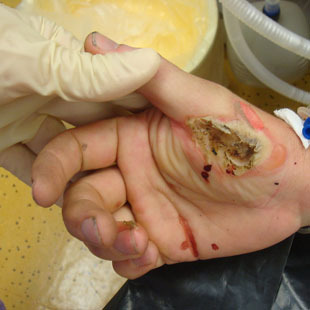 It is sudden disease that can lead to an amputation of a limb because of low blood flow and perfusion of the tissues. There are two basic causes of this disease. It is embolisation into the arteries of the limbs and in-situ thrombosis on a plaque of atherosclerosis. Correct diagnosis and early started therapy influence prognosis of the patients. You can solve a diagnosis, treatment, complications and following therapy in our algorithm. Acute renal failure (ARF) is a suddenly developing potentially reversible decrease in renal function for pre-renal, renal, or post-renal causes. The morbidity and mortality associated with ARF remains to be high. Our algorithm introduces you to the management of patient with ARF and teach you about its complications and their treatment. 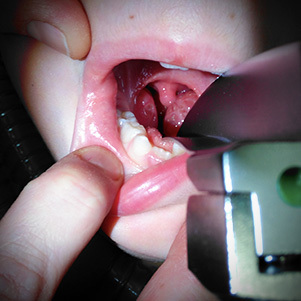 Tonsillectomy and adenoidectomy are the most common pediatric surgical procedures. Tonsillectomy means the surgical removal of the tonsils - paired lymphoid tissues situated on both sides of the back of your throat. These immunocompetent tissues are in the first line to defend the body against ingested or inhaled pathogens. When tonsils become enlarged or inflamed they may require a surgical removal. Indications for tonsillectomy include recurrent pharyngotonsillitis, chronic tonsillitis, hemorrhagic tonsillitis, peritonsillar abscess, streptococcal carriage, dysphagia, halitosis, and the suspicion of malignant disease. Every year, more than 150 people die in snow avalanches in Europe and Northern America. 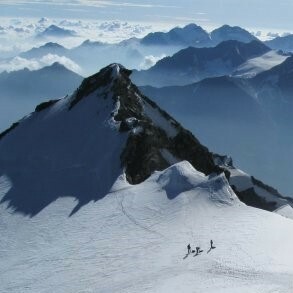 Most of them are climbers, skiers and skialpinists. Many of these deaths can be prevented by preventive measures, or by fast extrication of the buried people, appropriate first aid, on-scene triage, and subsequent highly specialized treatment in a suitable healthcare facility. 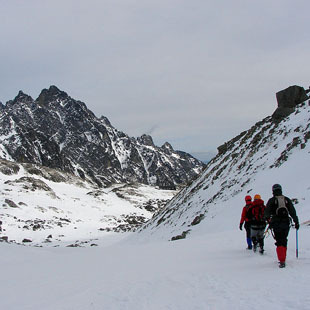 Using this algorithm, you will learn how to proceed during a mountain rescue for a victim completely buried by an avalanche, which has these parameters: the width of the riving 200 m, height breakaway from 0.2 to 1.8 m, length 600 m avalanches, deposition height of 6 m, the estimated weight of 9.960 tons of snow. Firstly, you will play a role of a member of a group of skialpinists surprised by an avalanche while staying in the Krkonoše mountains. Then, you are going to become a prehospital physician responsible for the on-scene treatment given to people extricated by the mountain rescue service. Complex regional pain syndrome (CRPS) is a group of chronical painful conditions, which are one of common complications after limb injuries. Significant role at its development has hyperactivation of sympaticus (defect in function of autonomic nervous system), which leads to defect in microcirculation and also defect in the pain management. Altogether it leads up to development of neurogenic inflammation. If CRPS is left untreated, irreversible changes evolve and cause permanent invalidisation of the patient. Try to go through the algorithm, determine the diagnosis according to the typical clinical symptoms and indicate appropriate therapy for CRPS on time. Although cardiac arrest in pregnancy is rare, it can be really unpleasant situation for every doctor. There are a lot of causes, e.g. cardiac failure, bleeding, coagulation disorder or trauma. In this algoritm you can go through basic and advanced life support of mother with emphasis on specifics in resuscitation in pregnancy according to the quidelines. Acute mountain sickness (AMS) can affect all of us already at an altitude of 2500 MASL as a result of the reduced amount of oxygen in air. Initial symptoms may progress to life-threatening diseases such as high altitude cerebral or pulmonary edema. Although we can effectively prevent AMS due to proper acclimatization, sometimes AMS can also affect the professional and experienced climbers. Act as a member of the alpine expedition in our algorithm and try to solve this case at different stages of this disease. Tachyarrytmias are disorders of heart rhytm with heart rate more than 100 bpm. 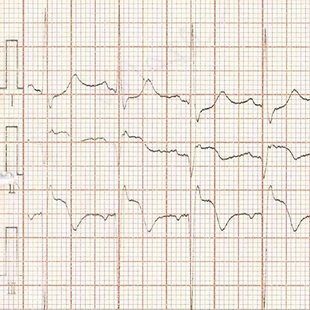 The algorithm is focused on supraventricular tachyarythmia nad goes through the situation of SVT with narrow QRS complex and regular rhytm to deblocking atrial flutter with the transfer to ventricle 1:1. It will help us to clarify recommended therapeutic procedures in this situation. Lung carcinoma is the most common tumor in men and the third most frequent in women. Surgical procedure is one of the standard therapeutic methods. Because this type of surgery intereferes with ventilating functions, it is necessary to approach this procedure specifically from the anesthesiological point of view. This algorithm aims mainly at the choice of preoperative exams of patient’s respiratory system and equipment used during intubation - here plays a significant role the Double Lumen Tube . Moreover, the algorithm deals with the choice of ventilation mode as well as with other specific aspects of this type of surgery. Last but not least, it suggests a situation when the ventilation and oxygenation starts to fail despite the targeted interventions of the anesthesiologist. Febrile seizures are an age-related phenomenon. Manifestation is characterised by convulsive/cramping states typically generalised tonic-clonic seizures with the possibility of loss of consciousness, disorders of vegetative and regulatory functions. The origin of the febrile convulsions is connected with onset and initial phase of an infectious disease. Within the scope of classification we distinguish simple and complicated seizures with more serious course and consequences which can progress into serious life threatening epileptic state (lat. status epilepticus). Differential diagnostics is based on exclusion of neuroinfectious condition, convulsive states of non-infectious origin, epileptic seizures and febrile syncope. Cerebrovascular accident is an acute condition, which is caused by interruption of blood supply of some part of the brain. 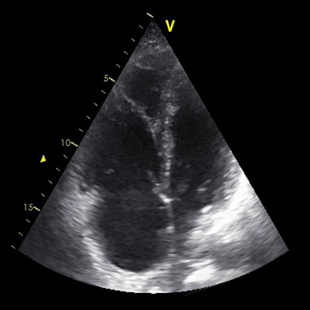 Ischemic CVA includes 80% cases of all CVA and it is result of occlusion blood vessel by a thrombus. The cells of the brain will start to die without oxygen supply, we also lose the functions which are controlled by affected area. Clinical symptoms of patients include motional dysfunctions of facial muscles or limbs, balance disorders, sudden intensive headache, vision disorderes or speaking problems. Essencial factor of successful treatment is a quick and right diagnosis of ischemic CVA because of limited interval for tPA application. Consequences of the ictus correlate with localisation and extend of damaged tissue. Spinal trauma is an injury of the spine and spinal cord. If the patient suffers from polytrauma e.g., the symptoms of life-threatening injuries may mask the symptoms of spinal injury and spinal cord injury can develop by careless manipulation with the patient. If there is a history of sudden acceleration or deceleration (traffic accidents, falls, sports injuries), there is always the possibility of spinal injury. Our algorithm takes you through spinal trauma from first aid to late complications. Cancer pain significantly reduces the quality of life of patients with cancer. Therapy of cancer pain is a conjoined part of cancer complex care. Despite this fact, enough attention is quite often not paid to adequate treatment. The algorithm refers to the fundamental principles of the treatment of cancer pain in accordance with recent recommendations. Epilepsy is a disease characterized by recurring seizures of uncontrolled brain neuron excitatory activity, resulting in a cerebral dysfunction. The seizures can be caused as the result of a head trauma, brain tumor or inflammation, brain stroke or due to different metabolic changes. They can also be idiopathic. 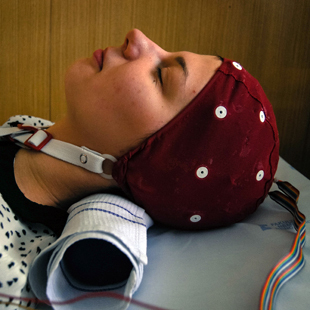 Most of the seizures end spontaneously, but some continue for a long time or the patient remains unconscious. 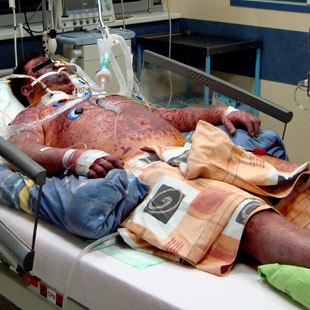 This situation is called the status epilepticus and it is considered to be a life threatening situation. 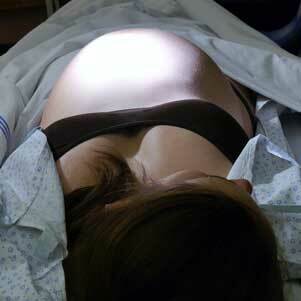 Labour pain appearing during uterine contractions is a reaction of a pregnant woman’s organism preparing for labour. Intensity of labour pain is individual, because perception of pain is affected by somatic, mental and social factors. Therefore, approach to analgesia must be individual as well. Currently, any of many farmacological and non-farmacological means can be used. 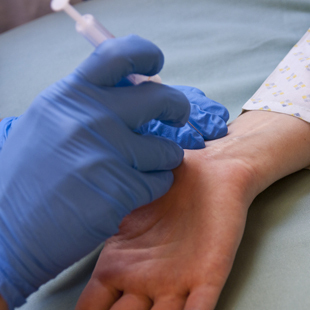 Epidural analgesia is one of the most commonly used means, lately accompanied by remifentanil. Correctly indicated and administered labour analgesia may help to reduce incidence of labour complications at both mother and child. 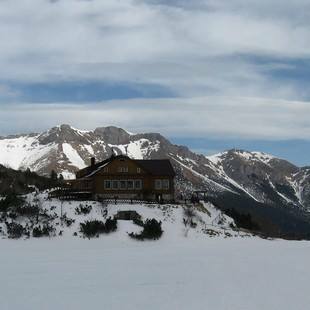 The Mountain Rescue Service in Czech Republic provides more than 6000 rescue operations every year. About a half of the accidents occures in ski slope skiing. The most common injuries are joint injuries, contusions and fractures. 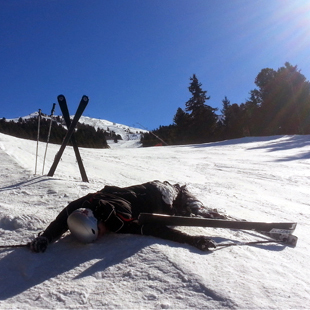 Our algorithm introduces you to the management of the ski slope injury from the layman´s first aid to the professional prehospital and hospital care. To think about the most serious complication of Abdominal aortic aneurysm - the rupture is very important because even banal difficulties such as backache, epigastric pain or vomiting could be a harbinger of a lethal end. After asymptomatic period, condition can lead to hemorrhagic shock in few hours. Due to risk factors which are widely distributed in our population (smoking, hypertension, atherosclerosis, age) and the prevalence of aneurysm which is not negligible (2.5 – 5 %), the risk of rupture is very high. It depends on size – the risk of rupture 6 cm aneurysm in 5 years is 33 %, in case of aneurysm with diameter above 7 cm is up to 95 %. characterised by pathologic hypermetabolic condition at the muscle tissue level. 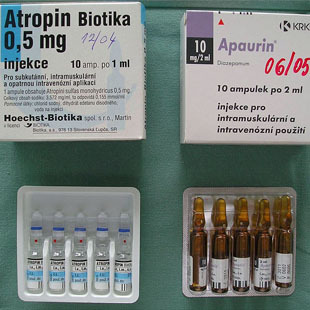 Susceptibility to MH is often inherited as an autosomal dominant disorder and the episode is triggered by esposure to certain drugs - succinylcholine and volatile anesthetic agents. It usually occurs during general anesthesia or within the first few hours of recovery from anesthesia. In the following algorithm you will learn how to recognise MH episode and how to deal with such situation. Pulmonary embolism is a life-threatening condition in which the main artery of the lung or one of its branches is blocked by a substance that is most commonly a blood clot. The blood clot is formed mainly in the deep veins of the legs or pelvis. Embolization is then the process of breaking off the thrombus from its origin and migrating to the lung. There are many patients affected by this condition and often it is not recognised properly. 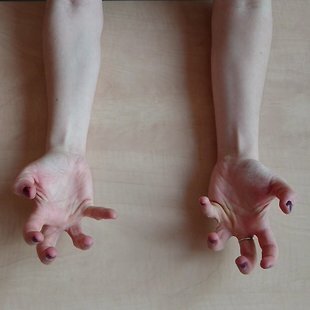 It is very important to be able to diagnose this condition and to cure it. Pulmonary oedema is fluid accumulation in the lungs. It leads to impaired gas exchange and may cause respiratory failure. It is due to either failure of the heart to remove fluid from the lung circulation or a direct injury to the lung parenchyma. Treatment depends on the cause, but focuses on maximizing respiratory function and removing the cause. Terapy must be fast and intensive. This algorithm takes us through the situation from ensuring the patient in prehospital care until professional treatment and therapy in the hospital. Laryngospasm is an acute life-threatening condition caused by reflex closure of the rima glotidis by the vocal cords. 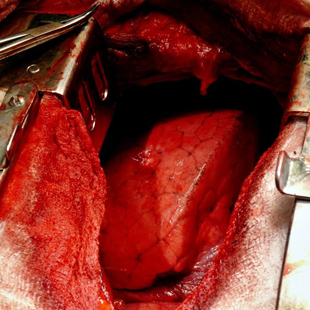 Presence of saliva, blood, stomach contents, supraglottic airway device and manipulation with laryngoscope in the hypopharynx in state of partial consciousness may contribute to the development of this condition. Laryngospasm occurs more often in children, young adults or in obese people during extubation procedure when the patient is not yet fully recovered from general anaesthesia. The following algorithm introduces a recommended management of severe laryngospasm. 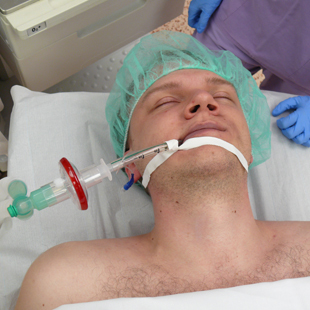 Difficult airway management is an urgent, life threatening situation, which is a nightmare of every anaesthesiologist. 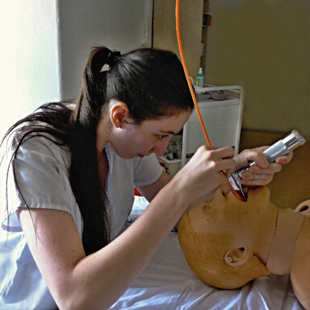 We can speak about difficult airway managent if we repeteadly cannot intubate or if it takes longer then 10 minutes. Difficult airway management it to be expected when the pacient has limited cervical spine movement, neck and face injury or in pregnancy. 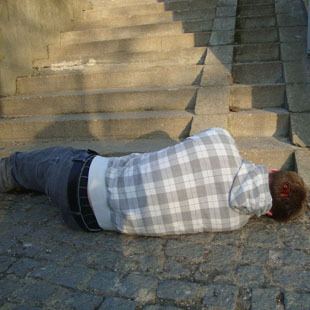 The wrong therapeutic approach in some cases of drug intoxication can cause worse consequences than the intoxication itself and therefore it is important to think of the drug intoxication in terms of differencial diagnosis. 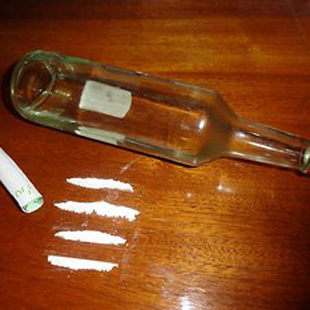 Our algorithm describes the diagnosis and possible solutions of complications caused by the intoxication with recreational drugs. 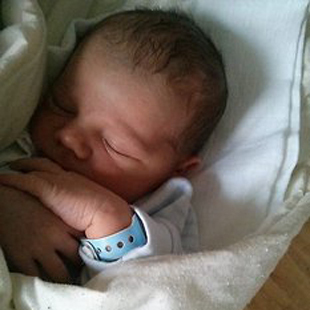 The Caesarean section is an operation, when the baby is delivered by a surgical way. There are many indications for this medical help. Our algorithm follows three types of anaesthesiology (general, epidural and spinal), which can be used, and the complications, which can come during the operation. Unpreparedness and insufficient help could be dangerous not just for the baby, but also for the patient. Life-threatening haemorrhage can be defined in many aspects: by extent of blood loss- loss of blood volume during 24 hours (in an adult of about 10 units of RBC transfusion) or a loss of 50% of blood volume during three hours or continuous blood loss of over 150 ml / min; by the presence of clinical and laboratory signs of tissue hypoperfusion or signs of organ functions failure. Sometimes bleeding is not associated with major blood loss, but it threatens the life by localization of bleeding to the regions important for maintaining vital functions (eg. CNS). Acid base balance is dynamic balance between the formation and elimination of sour and alkaline substances in organism. It is regulated very accurately which is necessary for the right course of a range of metabolic pathways and physiological processes. Disorders of acid base balance are always a complex problem where the whole internal environment of the patient is changing. The ability of timely recognition and of proper solution of those deviations is absolutely radical in clinical practice. Our algorithm is going to show you how to go about it. Not every gravidity would end up with labor at term. During pregnancy there could be many complications, either with mother or child, that result in premature birth. One of these complications can be hypoxia of baby. In that case premature birth ends with delivering hypoxic baby with very low Apgar score. 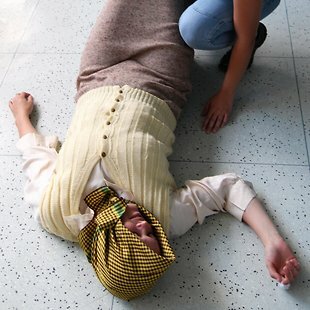 In Algorithm „Newborn resuscitation“ you can try what to do in such a situation. Childhood is characterized by the occurrence of large amounts of infectious diseases, some of them even life-threatening. The occurrence of menacing acute epiglottitis in children was reduced by the introduction of vaccination against Haemofillus influenzae B and therefore it is far more frequent to encounter an obstruction of the upper airway caused by acute laryngitis. It starts suddenly from full health or follows catarrh of the upper respiratory tract. Most often occurs at night as inspiratory dyspnea with inspiratory stridor. Now you can learn how to deal with this serious clinical condition through our algorithm. Eclampsia is life-threatening pregnancy complication that is characteristic by tonic-clonic seizures. The patient is usually warned by obvious symptoms, but sometimes the eclampsia appears unexpected. 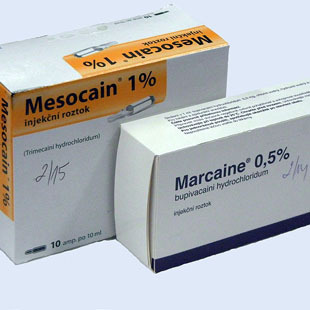 It requires immediate intervention of seizure suppression, high blood pressure decrease and quick delivery. Due to the seriousness, an unexpected beginning and the progress, the main protection is prevention and diagnosis of preeclampsia that is easily treatable. Acute abdomen is one of the classic cases of acute medicine. Due to the threat of serious complications it is necessary to recognize it early and treat appropriately. In the case of surgical intervention, the patient is at high risk of aspiration of gastric contents during induction of general anesthesia. Our algorithm focuses on the topic from the perspective of anesthesiologist, especially on the correct rapid induction of anesthesia (Rapid Sequence Induction-RSI, flash introduction, crush introduction). 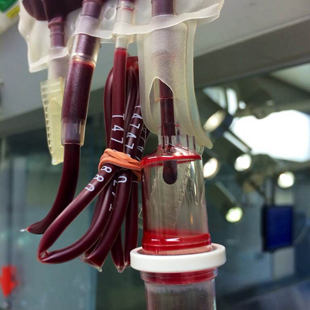 Peripartal life-threatening haemorrhage is defined as sudden and uncontrolled blood loss, which is clinically estimated at 1500 ml and more, and which is associated with the onset of clinical and/or laboratory signs of tissue hypoperfusion. Heart arrest is one of the common life-threatening situation which can face all of us during normal life especially then medical stuff in hospitals. Our algorithm describes briefly and exatly basic life supporting actions in case of heart arrest and advanced life support provided by emergency team. The Diabetes mellitus algorithm describes step-by-step prehospital and subsequently hospital process of treatment of the hyperglycaemic coma. The algorithm is processed in the prehospital phase from the perspective of a non-medical professional and a medical professional at the scene of an incident to make sure to emphasize basic life functions. Meningococcal sepsis, meningococcal meningitis and sepsis combinated with menigitis are caused by gram negative diplococcus Neisseria meningitidis and are understood under exression invasive meningococcal disease. Appreciable part of population are healthy carriers of this microbe. On the other hand it can cause fulminant and often fatal disease. Algorithm shows a typical case of IMD and the most important principles of its treatment. Childbirth in the field is situation which can confront every one of us. For this case an algorithm was created, where you find yourself in the position of emergency doctor called to assist the progressing childbirth. Here is your chance to get familiar with the proper medical guidance of the childbirth in the field. Methanol intoxication has become a very actual topic within last year. 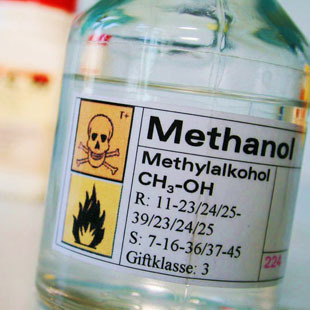 The great danger of accidental poisoning lies in inability to recognize methanol while drinking it and distinguish it from ethanol and so avoid drinking greater amount of it. This algorithm takes us through the situation from ensuring the patient in prehospital care until professional treatment and therapy in the hospital. 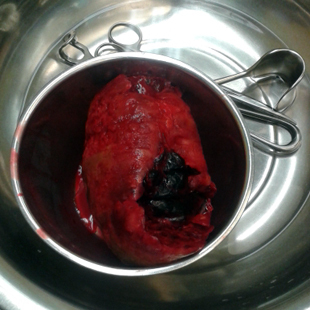 Amniotic fluid embolism is a rare but very serious and dramatic complication in pregnancy. It is one of the most common causes of maternal death worldwide, with mortality approaching 80%. Diagnosis is based only on clinical signs, it is used the elimination procedure - "diagnosis per exclusionem". This algorithm describes from the perspective of an anesthesiologist this emergent situation and subsequent diagnosis. The Injury caused by an electric current can often threaten a human life. 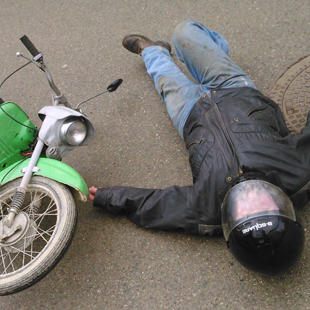 We would like to demonstrate how to act when you witness this kind of accident. Postdural puncture headache is one of the complications of central blockades. It arises most often in connection with a previous puncture of epidural or spinal space as a result of perforation of the dura mater and arachnoidea. A cerebrospinal fluid is leaking from the gap in dura mater. It leads to a drop of pressure of cerebrospinal fluid and it can cause headaches. The following algorithm will try to bring the diagnosis and the treatment of this condition. 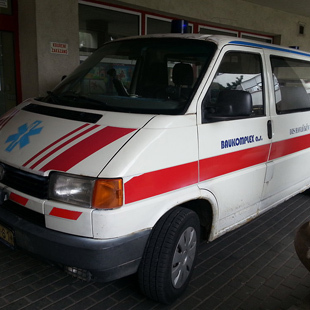 Sufficient analgesia in the practitioners´ ambulance is often underestimated part of daily routine in patients care. We can often see underdosing of analgesics due to fear of overdose or addiction to opioids.Therefore, we present here the algorithm with a possible therapeutic procedure for chronic hip pain. 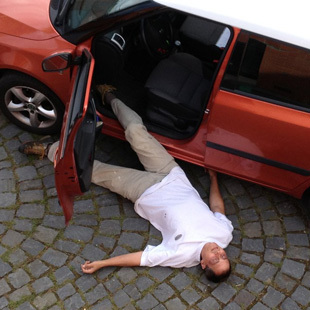 Syncope may be defined as a sign of short term loss of consciousness and/or postural muscle tone. It may be observed in patients with no cardiovascular diseases of organic origin but it can also be a sign of other serious diseases. Diagnosis of syncope is a tricky one, a lot of it depends on thorough case history taking and physical examination. According to research, up to 25-35% of syncope cases can be diagnosed from case history, or it may at least indicate relevant clinical testing. Severe allergic reaction is life-threatening. It may be observed after insect bite, after eating specific food or using some drugs. Most important is early diagnosis and immediate treatment. This algorithm presents possibility of diagnosis and treatment of this severe state. 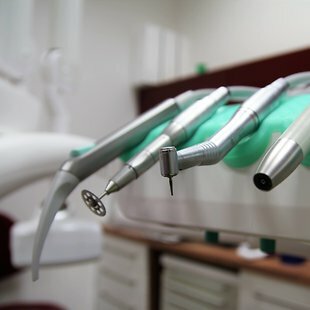 The algorithm describes a real situation of a toxic reaction to local anesthetic at the dentist. It generally shows the development from relative overdose to absolute overdose of local anestehticum. The algorithm should thus also contribute to adoptation of important procedures when solving such an acute state. Local anaesthetics are widely used by anaesthesiologists, surgeons or general practitioners. There is a risk of severe toxic reactions, which may lead to fatal sequels. This algorithm presents possibilities of minimalisation of the risk and offers the guideline by treatment of severe cardiovascular complication according to current opinions. The algorithm describes a real situation at the dentist - the extraction of the wisdom teeth combined with a pre-operative complication: a syncope complication. Each step of such a situation is outlined to comprehend the whole complexity of the syncope. Sub-questions then one by one describe the evolving state of the patient and offer solutions to particular steps. The correct answer to each of the questions will enable every student to finish the algorithm successfully. The algorithm describes two painful situations in orofacial areas. The first focuses on an acute postoperative pain after third molar surgery and recommended strategy for analgesia. The second situation concentrates on a chronic pain in temporomandibular joint. Besides, the second one also offers a therapy in various stages of the disease. Students should learn (about) not only recommended principles of conservative treatment, but also possible subsequent surgical therepy. Myocardial infarction (heart attack) is one of the most common causes of death in our population. Many risk factors contributing to its genesis are spread widely such as smoking, obesity, junk food, lack of exercise, high blood pressure and diabetes mellitus. Our algorithm presents you the right way to diagnose and treat heart attack as so as the most frequent mistakes that can endanger the patient. 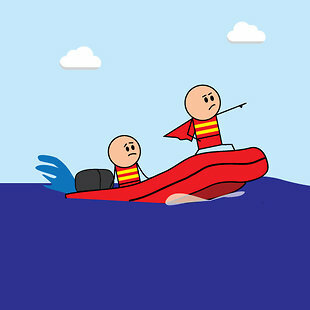 The basic rules of water rescue...or How to help drowning person without drowning yourself. Rub frostbite with snow? Limber up to heat yourself? Check your knowledge in our algorithm of first aid in the mountains. Technical first aid is an indispensable part of pre-hospital care. How about you? 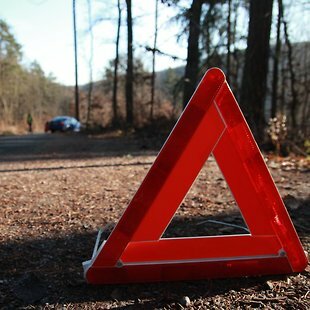 Do you know, how to proceed in a traffic accident? 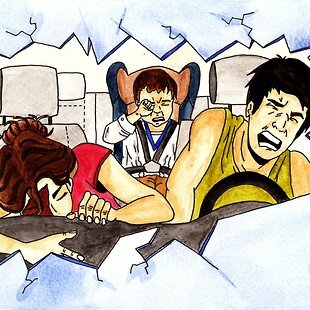 Everyone can be involved in a serious car accident. Our algorithm offers you sequence of actions by serious head injury and its solution using invasive approaches. Acute postoperative pain management is a multidisciplinary task in which they are responsible both anesthesiologist, surgeon, attending physicians and nurses of postoperative department. For this reason, there is often a transfer of responsibilities between the involved medical staff, and often a poor care of the patient's pain. Early postoperative pain treatment can prevent its chronification. Therefore, we present here the algorithm for the treatment of postoperative pain after pulmonary surgery. Craniocerebral trauma is the most severe injury group, which is associated with high mortality and severe permanent consequences. At present, the frequency of brain and skull injury is increasing,it often occurs as a part of a polytrauma. 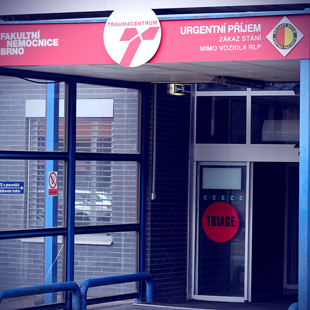 In our algorithm you will get familiar with direct acute brain injury and its treatment. 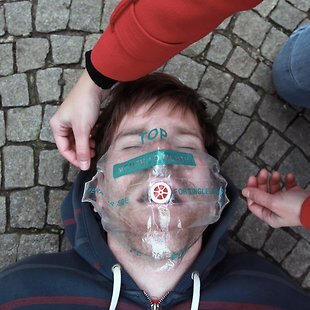 The algorithm focuses on one of the themes of first aid (Basic Life Support, BLS) directly endangered the patient's life. His comletation can be useful for both the layman and the person in acute situations already versed. The algorithm was created in accordance with the current guidelines of the European Resuscitation Council 2010. Mastering the principles of cardiopulmonary resuscitation should belong to the personal equipment of each man. Algorithm in accordance with the current guidelines of the European Resuscitation Council lead through possible pitfalls of this for amateurs and experts crucial life-saving activity. 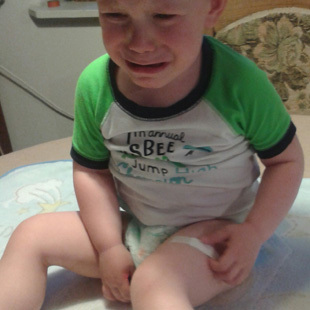 First Aid in children already bring to the trespassing acute stress and severe emotional component. 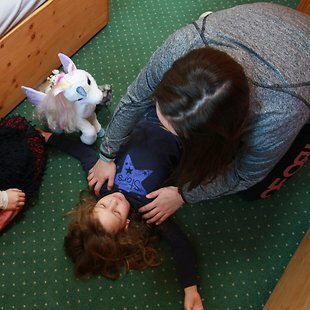 Come and try out at home possible realistic scenario to help the child, which is described in the current recommendations of the European Resuscitation Council. The presented algorithm provides additional procedure in the current recommendations of the European Resuscitation Council. 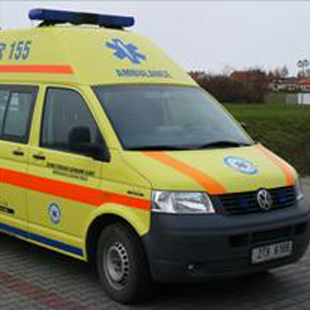 This is a possible scenario of real emergency ambulance of any medical facility. Sepsis is systemic inflammatory response syndrome of organism caused by infection. It can easily extend to a stage of severe sepsis and septic shock with the signs of multiple organ dysfunction even failure requiring extensive organ functions´ support . Increasing number of septic patients revers to the fact that the amount of predisposed individuals in various ways is increasing: patients suffering from imunosupression, undergoing invasive diagnostic and therapeutic procedures. Early diagnose and immediate and accurate therapy is crucial.